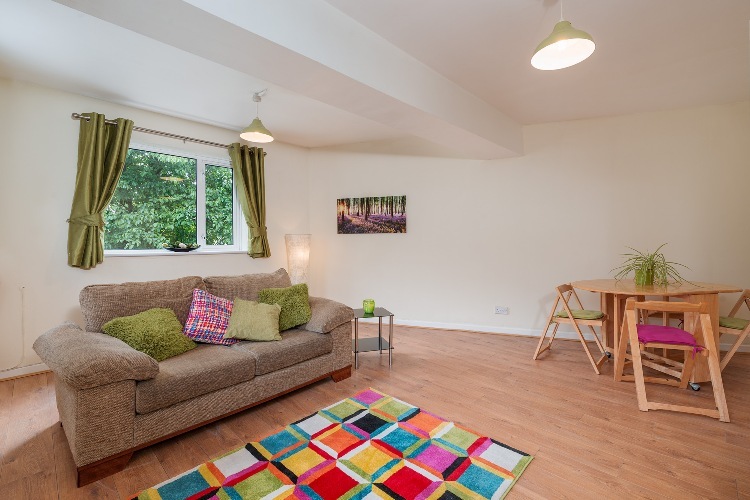 You couldn’t wish for a more convenient location to the University of Plymouth and Plymouth College of Art, than this spacious property, rated ‘A’ Grade for quality by the University of Plymouth Accommodation Services. 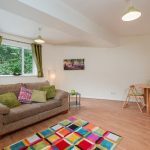 This funky self-contained one bedroomed apartment is just up the road from the popular bars and cafes. It is ideal for two people sharing. The tenants share the following facilities: one double bedroom, modern bathroom with bath and shower over, w.c and wash hand basin, good sized kitchen with coloured splashback over hob, double oven, washer/dryer, fridge and freezer. This flat has secure parking places available (at an additional charge), along with Gas central heating and double glazed windows. (NB. The photographs show the property as a one bedroom apartment, with a large lounge. This ‘lounge’ becomes the second bedroom and would be set up with a double bed, wardrobe, desk, chair and a two seater sofa ). Sorry, we don't have any floorplans for this property yet.